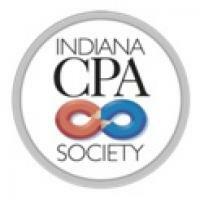 The Indiana CPA Society is a statewide professional association representing more than 7,000 CPAs in public practice, business and industry, government, and education. INCPAS serves the public interest as well as its members. The organization functions as an advocate for the profession through education, public awareness, government relations and promotion of high ethical standards. Programs and services offered by the Society are designed to meet the needs that have been identified for its diverse membership. INCPAS can help accounting students and Beta Alpha Psi members in a number of ways. Your INCPAS student membership will keep you up-to-date on profession related news, Society events and help build your resume through various volunteer opportunities. INCPAS is helpful in guiding students through the CPA Exam process and can answer questions relating to the education requirements, application process, etc. Additionally, INCPAS has a network of 7,000+ CPAs. The Society regularly schedules CPA members to give presentations on college campuses. The FREE Indiana CPA Society student membership will improve your marketability by demonstrating your commitment to the profession and giving you an edge in the hiring process. As an accounting student, it's important to stay informed, network and understand the CPA Exam process. Ali joined the Society staff in 2006 and currently serves as leadership and outreach manager. She is responsible for coordinating academic and career development programming and other initiatives designed to promote the CPA profession to high school students, college students and CPA candidates. She assists with the administrative duties and planning related to leadership programs, PAC fundraising and advocacy programs and activities. Additionally, she manages the Society’s diversity programs. She also is the lead staff liaison in planning the annual INCPAS Educators Conference and Case Study Competition and coordinates Society volunteer outreach. 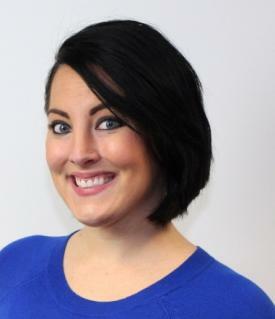 She previously served as public relations and career awareness associate. Paul earned a degree in journalism from Columbia College Chicago in 2006.